The MTM Hydro PF22 Professional Foam Cannon is the most recent in the MTM series of foam cannons. It features both horizontal & vertical foam adjustment controls the user now has the ability to control the foam for every cleaning scenario. Not only is the mechanical functionality of the unit improved but MTM listened to the feedback from professional car detailers and they asked for a canister that would be more comfortable to hold and greatly reduced the possibility of dropping the unit while using it. MTM Hydro created a new custom built bottle that is ergonomically designed for comfortable use. The MTM Hydro PF22 Professional Foam Cannon is the perfect car washing tool for any pro detailer or car enthusiast who wants to apply a thick forming coat of car wash soap to the vehicle surfaces. 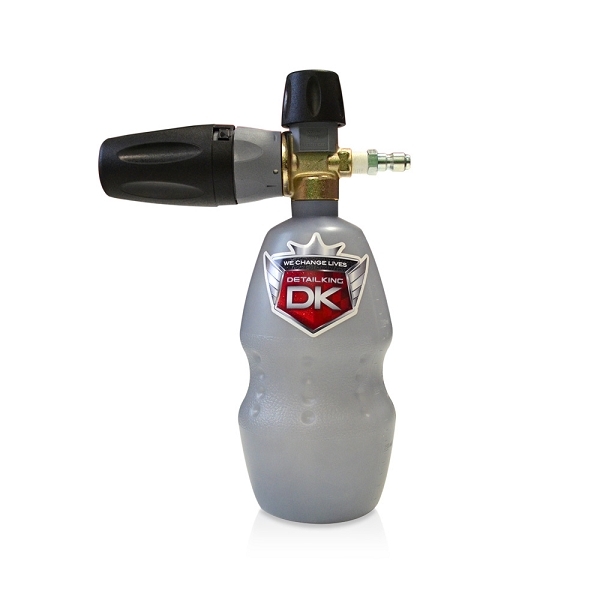 When using this foam cannon you are able to apply the foamy soap across the surfaces to loosen and remove road grime, and abrasive particles before touching the paint with a mitt or car wash brush. On painted surfaces with heavy grime deposits this can be an important factor in reducing car wash swirls on the painted surfaces over time. Just attach the foam cannon to your pressure washer and for best results pour 3-4 ounces of car wash soap like our Black Cherry and then fill with water. 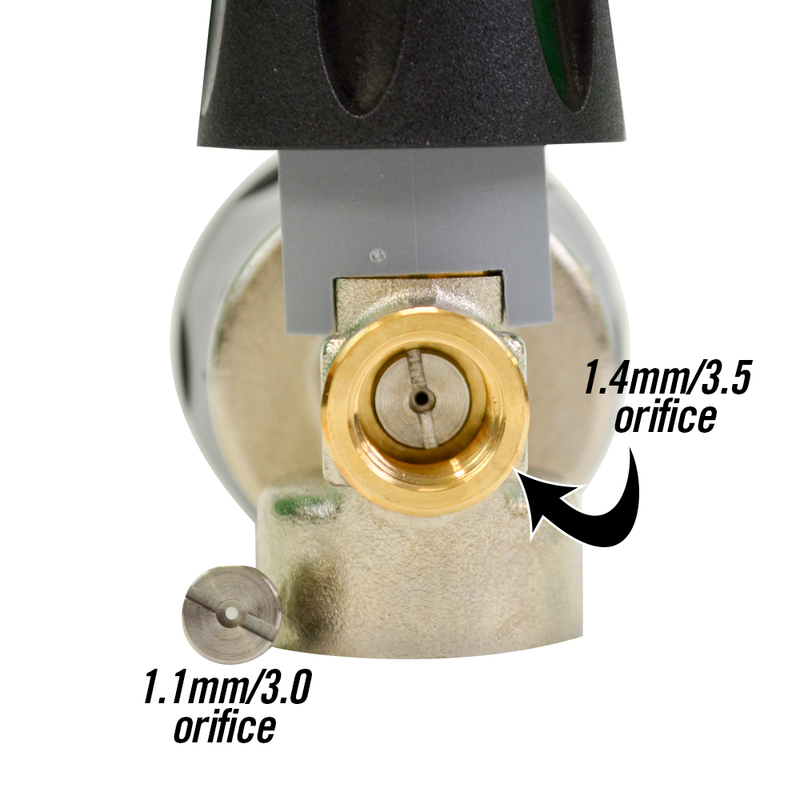 The MTM Hydro now includes a 1.1mm/3.0 orifice (1.25mm/3.5 orifice comes installed) that allows for a minimum of 1.4 gpm for more flexibility with your pressure washer selection. Both orifices require a minimum or 1,100 psi to operate correctly.